Lichfield karate Academy welcomes anyone over the age 4 years to adult at any fitness and any level of experience. We aim to develop confidence, self-esteem, discipline, physical strength, endurance, co-ordination and weight management, making healthier stronger kids and in turn stronger families. 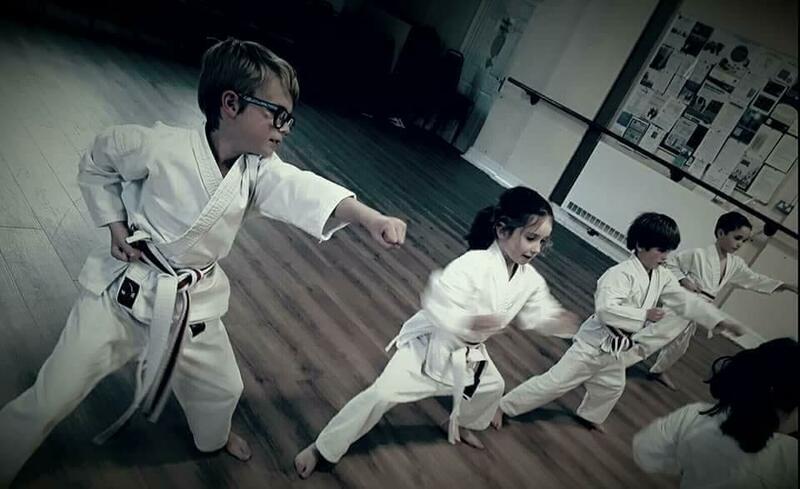 Lichfield Karate Academy offers a safe, fun and friendly environment to gain fitness and essential life skills through Wado Ryu Sport Karate. We welcome students from beginners to advanced abilities from age 4 onwards. Have fun, Increase control, grow fitness, gain stamina, increase discipline! These classes are aimed at youngsters from ages 4 to 11 of all abilities. This class encourages discipline, respect and develops coordination. Come along and join the fun! Our mixed ability classes, suitable for all ages including families is a great way to learn a new skill and maintain a healthy lifestyle. Encourages confidence and self defence preparation. This training is essential preparation If you are entering competitions. Through Kumite, you can develop your techniques and skills in a more realistic format. Glenn Phillips owns Lichfield Karate Academy and has over 40 years experience in martial arts. He is lead sensei in classes. My kids have been taught by Glenn for over a year and I have been really impressed by how they have come on. After a while, I thought, why am I sitting watching when I could be training. A great move. Glenn’s sessions are hard work but cathartic and so rewarding. We all love it! Dylan has attended Lichfield Karate Academy since 2016 and his confidence and skills have grown from strength to strength. We can’t thank Glenn, Annie and the team enough for their continued hard work and support! Karate is such a great sport for children to learn. It teaches discipline, gives them confidence and helps them to build strength. LKA has great teachers and they really invest their time and energy into getting the children to impove each week. We would highly recommend this club! Well done to everyone who made it to training. Slightly quieter than usual due to the holidays. A fab class nevertheless. Tonight’s class we..
We welcome anyone over 5 and aim to develop confidence, self-esteem, discipline, strength, endurance, co-ordination making healthier stronger kids and in turn stronger families.